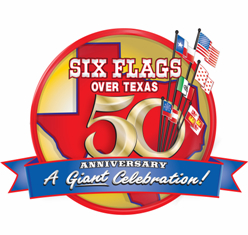 Howard Johnson Arlington Texas hotel ,is a proud partner of Six Flags Over Texas, we welcome you to Celebrate the 50th Anniversary of Six Flags Over Texas. We offer a free seasonal trolley to and from the park, and discounted tickets are also available for your convenience. Welcome to Six Flags Over Texas , a 212-acre park featuring awesome rides, great shows, and incredible attractions! Guests of all ages are invited to join in the fun as the world’s first regional theme park celebrates five decades of thrilling family entertainment featuring the New Texas Giant roller coaster, an all-new park closing show, and new exciting memories to share with family and friends. This is the year to Go Big. Go Six Flags. Go happy Go HOJO , enjoy our warm hospitality at the Howard Johnson Arlington Texas hotel next to the Six Flags Over Texas.